Join us at the W Chicago – City Center for our 12th annual StyleChicago.com’s Resolutions 2019, an evening dedicated to helping attendees make, re-state or keep their new year’s resolutions. Your VIP + Goodie Bag ticket includes complimentary wines, signature cocktails, hors d’oeuvres, health & wellness, beauty products & services, designer pop-ups, VIP Goodie Bag and lifestyle experts on-hand to help you improve at least one aspect of your life in 2019. • VIP + Goodie Bag tickets are only $50 and include a StyleChicago.com signature Goodie Bag (20+ brands, $100+ est. value) along with the event highlights below. • General Admission tickets are only $39 and include everything except the StyleChicago.com signature Goodie Bag. Tickets must be purchased in advance online – and will sell out early. VIP ticket buyers! 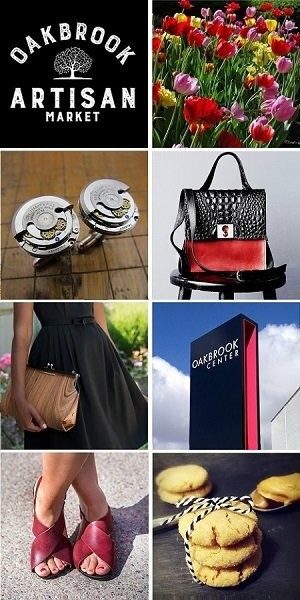 Don’t miss out on our amazing StyleChicago.com goodie bags – 20+ brands, $100+ est. value – always a crowd pleaser! This red carpet event sells out in advance online every year – so order tickets now! Asha SalonSpa * Bistronomic * Boxed Water is Better * European Wax Center * Chiro One Wellness Centers * Simplified Superfoods * Illinois Wellness & Weight Loss Centers * Life Time * Rejuven8 Superfood Collagen Bites * Ann Everett Fashion Design * Ananda Chicago * Brim and Dash * Chicago Artizen * Dazzlebandz by Nicole K. * Designs by Annie * Eva Airam Studio * Fab’rik Wicker Park * Figaro * F U Clothing * Giannelli Designs * Highsight * Make Up First School * melt down co. * Midwest Healthy Cooking * Mindful Radiance Skincare * J. Crager Alternatives * Nzuri Body Essentials * One Mag Smile * Orso’s Restaurant * Passion House Coffee Roasters * PrendaBella * Prime My Body * Selleria Veneta * Shimmer by Cindy * S.O.S. PJ’s * Spark Organics * Staytion Market & Bar * Raised Urban Rooftop Bar * Supersmile * The Lashe Spot * The RealReal * Vitahl Medical Aesthetics * Yew and Narra * Young Living Essential Oils….and more! Planning to drive? The W Chicago – City Center (172 W. Adams St.) will have vouchers at the registration desk for $29.00 Valet Parking, paid directly to the hotel. Guests must be over 21 years of age to attend – and tickets must be purchased in advance. For more event information, email events@StyleChicago.com or call us at 312.461.9400.